5th Year Cahir Colaiste Student becomes a World Powerlifting Champion. David Richards, coached, by his father Chris, traveled to Malta last weekend as part of Team Ireland Powerlifting Team. 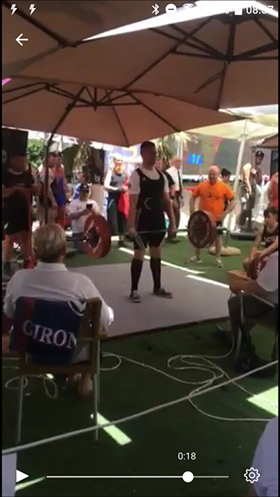 After qualifying at this year's National Competition, where you have to lift over 150kg just to qualify, David became part of the Irish Team to travel to Malta for the World Drug Free Single Lift Championships. 30 degree heat, and lifting outside, were definite firsts and David overcame a strong Moldovan to win with a lift of 180kg. Powerlifting is categorised by age and weight, much like boxing, Karate etc and David won his category which is the T2 -90kg division. David would like to thank Apache Pizza Cahir for their kind sponsorship. Powerlifting is a minority sport and not funded in any way so the sponsorship is appreciated greatly.